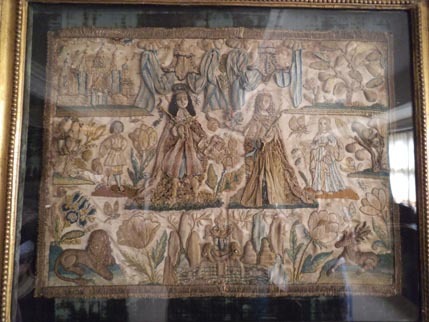 Hello everyone, apologies in advance as this is a very picture heavy post but I have some fab 17th century embroidery to show you! 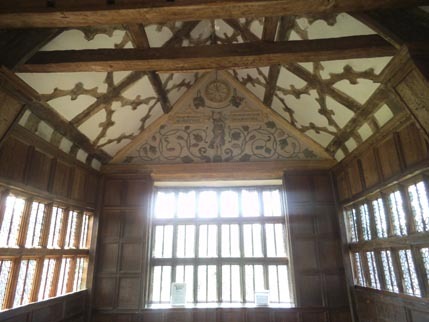 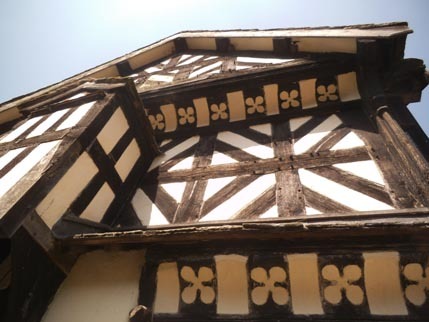 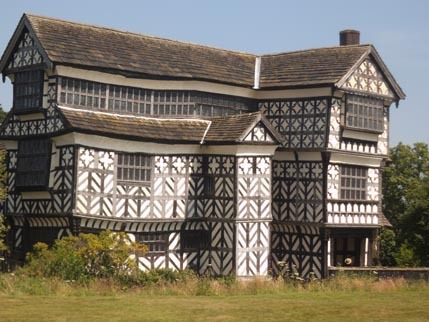 The first was one I have had on my list for a while Little Moreton Hall in Cheshire, a very lovely Tudor house which as you can see from the pictures has suffered through the years and has needed extensive structural work to keep it from falling down! 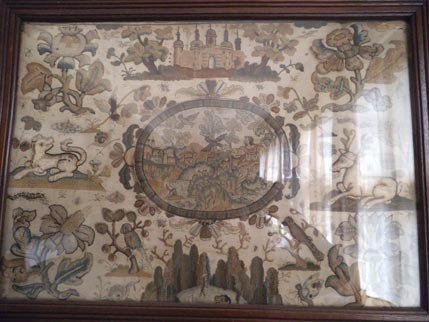 The second was East Riddlesden Hall in Keighley, not only a beautiful little house but also home to some gorgeous embroidery. 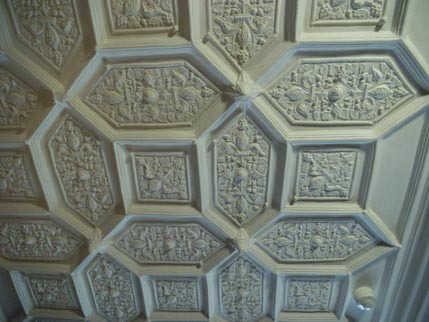 Look at all these beautiful pictures. 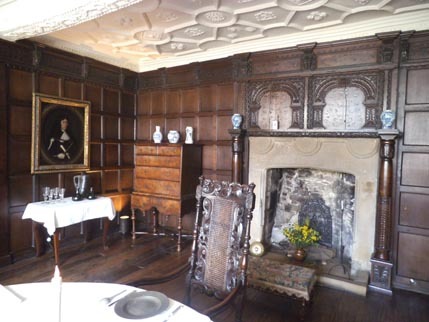 Sadly their sampler display was not available due to a ceiling collapse in that room so I will return to see that sometime. 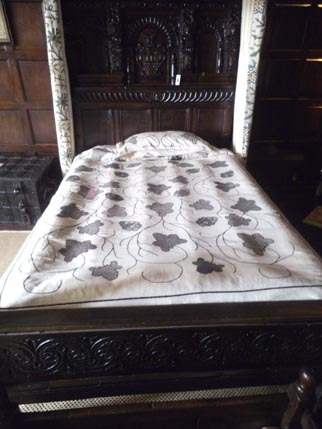 There was also some lovely embroidery that had been done for the displays by local women, this blackwork beadspread and crewel work hangings date from the 1920s. 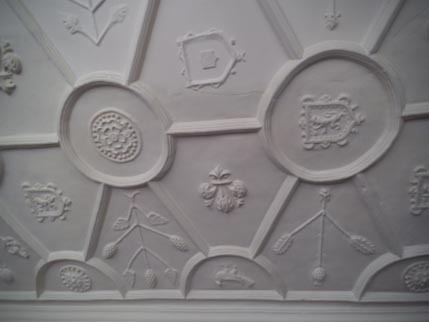 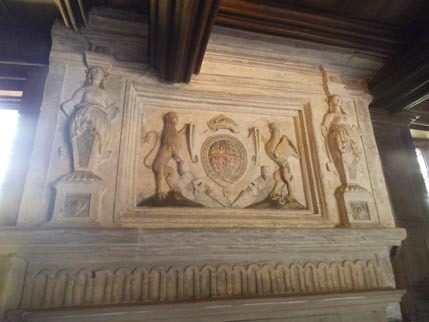 And some fantastic plaster ceilings. 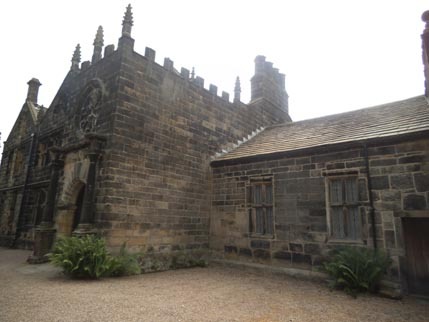 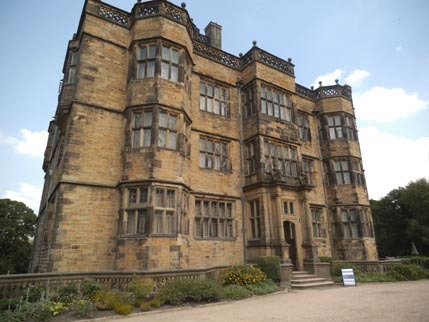 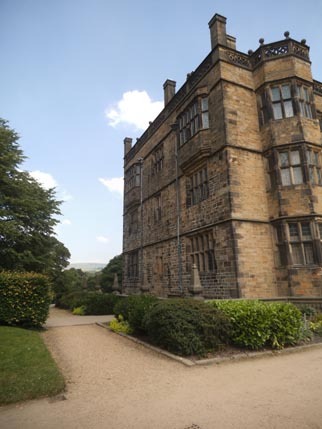 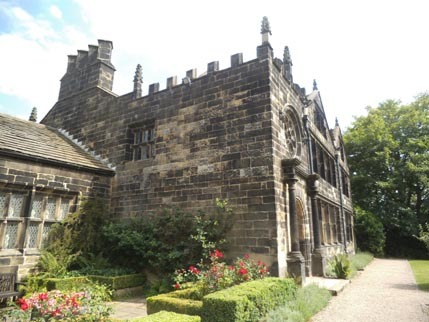 The last one we visited was Gawthorpe Hall near Burnley, this is a mini Hardwick Hall in design and is home to the Rachel Kay Shuttleworth needlework collection. 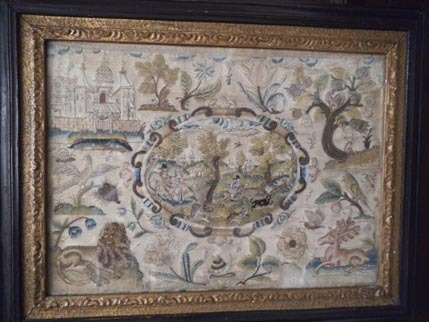 A small part of her 28,000 pieces were on display.Rachel lived in the house in the 1950s and was a passionate needlewoman. 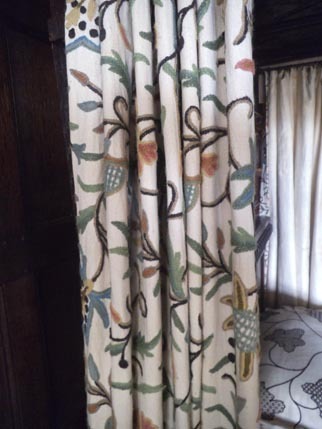 There were no photos allowed in the house but there is an excellent blog with online gallery and details of the textile courses they run. 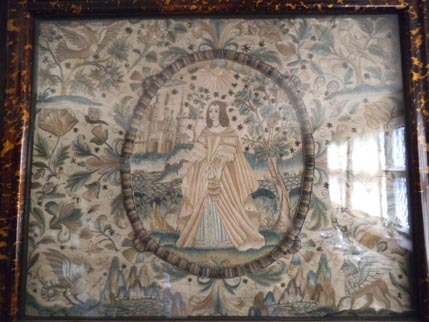 A very textilicious holiday with lots of inspiration for me! 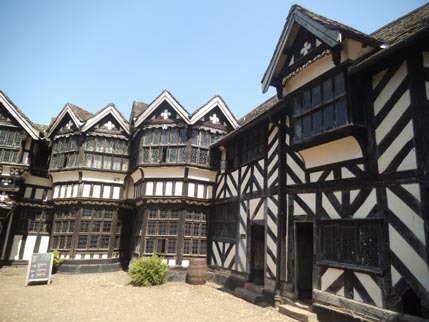 Thanks as always for visiting, I will be off to Ashby de La Zouche Castle next weekend for a show with Swords of Mercia so if you are in the area come along and say hello!